Manny Ramirez had no reason to change his public persona; after three productive years in Boston, he had proven well enough that, despite a hefty salary, he was a presence in Boston. Between Aaron Boone’s home run to end Game 7 of last year’s American League Championship series and the first day of spring training, Ramirez found his name in the news more than once. The subject of trade talks, until Alex Rodriguez ended up in Yankee pinstripes, you would have had every reason to believe that he would carry a huge chip through the season. For those of you who hibernated from late October until late February, Boston placed Ramirez on waivers early in November in the hope of unloading his remaining $100 million salary on George Steinbrenner, who had watched his team lose its second World Series in three years. After that failed, Ramirez was all but on the plane to Texas as the Red Sox and Texas Rangers agreed to a trade that would bring Rodriguez to Boston. Instead, the player’s union intervened and, upon further review, nixed the deal because they felt that Boston was trying to cut too much of Rodriguez’s record $252 million contract. So, after two failed attempts to send his lifetime .317 average and 337 home runs to another town, wouldn’t you expect a 12-year veteran player known for his bat and his silence to show even less emotion on and off the field? Instead, this season we are seeing something new: a suddenly affable Manny Ramirez. Is this the same player who rarely had anything to say to the media suddenly becoming the go-to guy, giving direct quotes for the media hounds to scribble on their notepads? Is this the same Ramirez that suddenly has time to give off-field interviews? Do our eyes deceive us, but is that Ramirez sitting in the dugout during the game, making comedic gestures at the camera, looking relaxed, and smiling? Ramirez has even had a web site developed in his name, where he goes so far as to answer people’s direct questions. It’s not that he was never friendly with the fans. I recall a co-worker telling me that Ramirez, while waiting for batting practice at spring training, turned around every time a kid called out his name for a picture and held a pose and smile until he or she got the shot. He is also more than willing to spend a few extra minutes signing autographs and does considerable charity work, most of which we never read about in the paper. What has suddenly turned a man who once shunned reporters for more than a year after being questioned about his hustle into a media darling? Does he suddenly realize how great it is to play in front of Boston fans that, through most everything, have stayed loyal to him? Have David Ortiz and Kevin Millar, who never fail to keep the team loose with the ups and the downs, cracked his shell? Did three ghosts visit him on Christmas Eve? 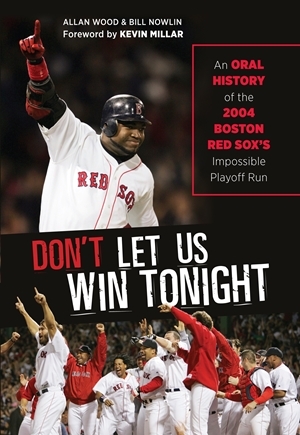 Though the jury is still out on how the 2004 season will end for the Red Sox, never has there been such camaraderie in a Boston baseball clubhouse. 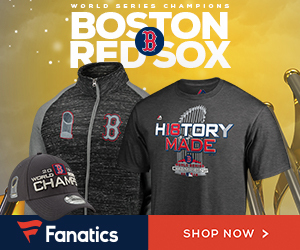 Red Sox Nation is engrossed in the everyday events of this team, 365 days a year, and it has never been more evident than the fact that, through Sunday, the team had enjoyed 103 straight sellouts at Fenway Park. Search up and down the lineup, and it’s hard to find a player that the fans don’t love. Manny is no exception to this observation, and maybe more so now that he has become less of a mystery to the fans who chant his name when he comes to bat and erupt in celebration of a home run over the Green Monster. 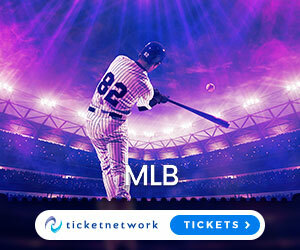 They’re even tipping their hats when he makes a great play like the great diving catch he made last Friday against Philadelphia with his good buddy Pedro Martinez on the mound. “Citizen Manny” (apropos after becoming an official US citizen in May) seems to have finally joined the ranks of Red Sox Nation, and no one seems happier than he.